Hi-res audio plays on so many devices these days, but finding it in Australia isn’t easy, so what can you do? 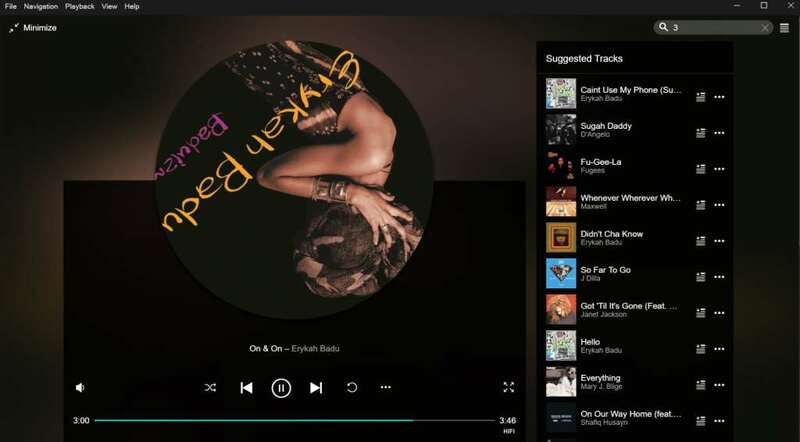 Streaming music services may be the bee’s knees, but some of us want more. We don’t just crave more music, but higher quality music overall. 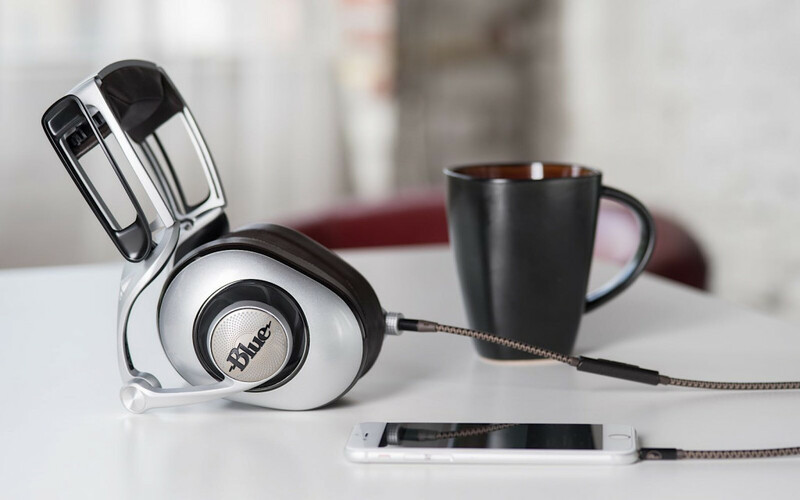 We’re looking for more instruments, better bitrate, and an overall fidelity so that the world’s best headphones and speakers can take advantage. But it’s not that easy. Even though some of us would happily hand over our money, online music stores seem to do what they can to thwart that purchase, and high-resolution audio options have been drying up, despite the push by the makers of headphones, speakers, and even smartphones to get more people listening to hi-res sound. In Australia, the options are few and far between, as the number of local high-resolution audio online shops can be counted on one hand. It’s kind of crazy, because high-resolution audio is supposed to be here now, and yet it’s anything but. Where can you find hi-res audio in Australia? Before we approach where you find high-resolution audio, it’s best to look at what it is. After all, in an age of streaming media, it can be pretty hard to get people on-board with the idea of a media that they download. But that’s what high-resolution audio is: a digital download that packs in a higher resolution sound thanks to more bandwidth, a bigger bit-rate, and essentially the ability to pack in more depth, instruments, and a version of the sound that in theory plays better on big headphones and speakers. That’s the theory, anyway. There’s a lot of talk about whether high-resolution audio can sound better, or whether it’s our ears playing tricks on us. It could even be as simple as the Placebo Effect: we think we’re hearing a better quality sound because we’ve paid for a bigger file, so it therefore must sound better. Here at Pickr, we approach high-resolution audio as if it’s the best digital copy we can use. That means our testing is performed with the highest quality file we can find, which should then provide the best recreation when testing other devices. Whether you choose to listen to a streaming music format or one that is lossless like high-resolution audio tends to be, that is your call, but we’ll always argue a better quality file has the potential and chance to sound better than its compressed and lossy equivalent any day of the week, and that’s what high-res audio seeks to defeat. High-resolution audio is often seen as the digital version of vinyl because it’s about the most pure version of a recording you can find. Kind of like a record. High-end audio companies making great headphones, speakers, amplifiers, and other meaty sound products may be talking up the virtues of high-resolution audio, but one thing they’re not doing is helping to supply it. We’ve seen the “Hi-Res Audio” gold stamp on several products over the years released by plenty of brands, but locally, there’s just not a lot of availability for the tracks that make this concept shine. And yet thankfully, not all is lost. While living in Australia does mean you won’t find many places to sell the best digital audio quality around, there are one or two choices in the country that you can get music from with little to no effort. Australia’s only local store that sells 24-bit audio, ZDigital is an offshoot of the international digital music store 7Digital, which expanded into 24-bit audio a few years ago. As such, Australia’s ZDigital offers some 24-bit albums, but finding them isn’t as easy as hitting up a 24-bit section, and you’ll have to actively search for an album you like. To ZDigital’s credit, the company does let you filter the albums to find that 24-bit option, and it tells you when you’re looking at one with a “24-BIT FLAC” label in gold on the album or track. Practically the only high-resolution capable streaming service that works in Australia, Tidal offers both 16-bit and 24-bit tracks over its network, and has quite a few albums to choose from, though as we learned in our review, it comes with a catch. That catch is one that lacks widely available portability, as Tidal HiFi Master Quality is only found on Android and desktop PCs, meaning you need to be at your computer or on an Android phone to use it. With such a tiny amount of choices for local hi-res audio purchases, it can be pretty hard to actively engage the lossless audio world in Australia. Even if you’re at that point where you’d love it if companies would just take your money so you could hear things in the best quality possible, it seems record labels aren’t making it easy. 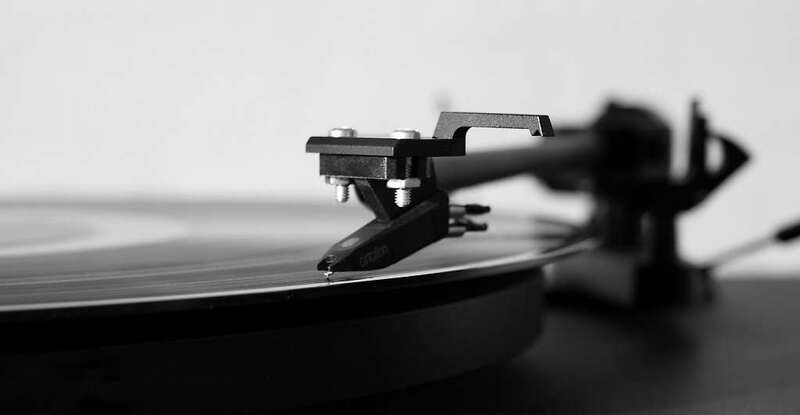 One approach could be to buy the vinyl at your local record store, and on World Record Day, that’s a great approach, but if you want to take that high quality sound with you, records don’t really help. So we’re back to high-resolution lossless audio, and trying to find places that will let us hand over our money to hear things that take advantage of really, really nice headphones, amps, and speakers. Fortunately, the international world offers some choices, even if you have to go about and be a little devious to get them working in Australia. The place where ZDigital started from 7Digital is a mostly MP3-based digital music store that has been expanding to include 24-bit audio. While ZDigital offers a little, 7Digital actually focuses areas on it, and seems to be actively expanding, something the Australian equivalent hasn’t made a lot of progress on as a whole. 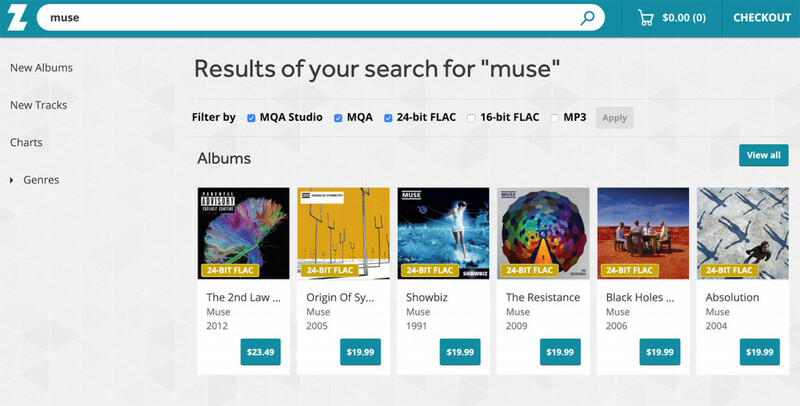 Bizarrely, we found that while 7Digital does a better job of music curation on the 24-bit lossless front, Australia’s ZDigital often has the same selection, you just have to go find it yourself. As such, we used 7Digital to highlight our music, and ZDigital to actually buy it when we went this way. 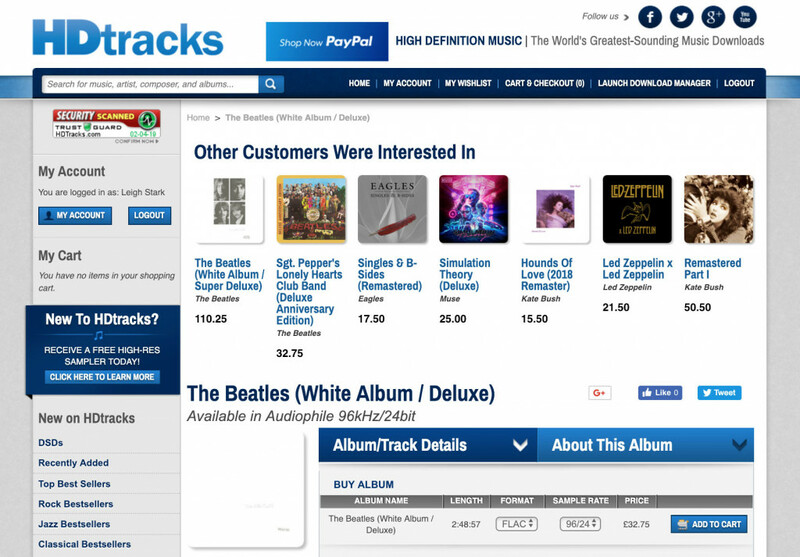 One of the more popular services, HDTracks offers both a US and a UK version of its service, essentially offering its catalogues at slightly different prices. In some instances, we found the UK catalogue better priced after Australian dollar conversion than the US one, and of course there’s one other reason why checking out both matters: one is geolocked, and the other is not. For HDTracks, its US service is geolocked for Australians, blocking people from our part of the world unless they go through a VPN, and there are plenty of these that work and break through. Just grab one for your web browser, like TunnelBear or SurfEasy, and you can break through and buy things from the US service. Alternatively, you can skip the VPN altogether and go with the UK service, which doesn’t seem to have a problem with Australian accounts and works without fail.